Many of these items are top sellers and with good reason. They have been tried and tested by the prepper community and found to be useful, practical and functional. This is one nifty and durable flashlight. And at a cost of just a little over $4.00, you can afford to stash one in many strategic locations. Output bright can come to 300 lumens (MAX). This mini flashlight can use AA size Alkaline, NiMH and lithium 14500 batteries. These are brand new, made in the USA by an ISO 9002 military supplier and are one of the most versatile items you can get for storing items as well as your ammunition. Waterproof and airtight for storing ammunition + tools + valuables. 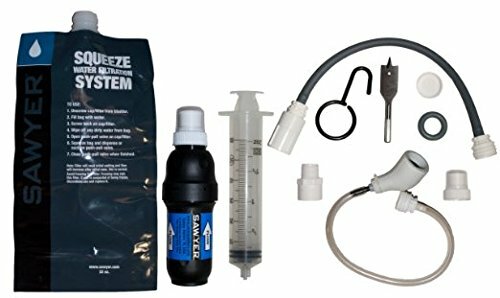 This is probably the most popular personal water filter used world-wide. Removes minimum 99.9999% of waterborne bacteria (>LOG 6 reduction) and surpasses EPA standards for water filters. Removes minimum 99.9% of waterborne protozoan parasites (>LOG 3 reduction) and filters to an amazing 0.2 microns. Filters up to 1000 liters of contaminated water WITHOUT iodine, chlorine, or other chemicals. You should have a number of these for each individual in your family. You can read my review of it here. Here is another really good flashlight and one of the most popular. This is a very reasonably priced HAM radio. Communications are going to be a must for anyone in a SHTF scenario. This radio is used by many search and rescue teams. Get your HAM license and get this radio. There are a tremendous number of survival books on the market. This is one of the best ones. If you can only have one survival manual, this should be it. SAS Survival Guide 2E is the revised and updated edition of the world’s preeminent survival guide, covering everything from basic first aid and campcraft to strategies for coping with any type of disaster. Long considered the supreme handbook for outdoor skills and preparedness. 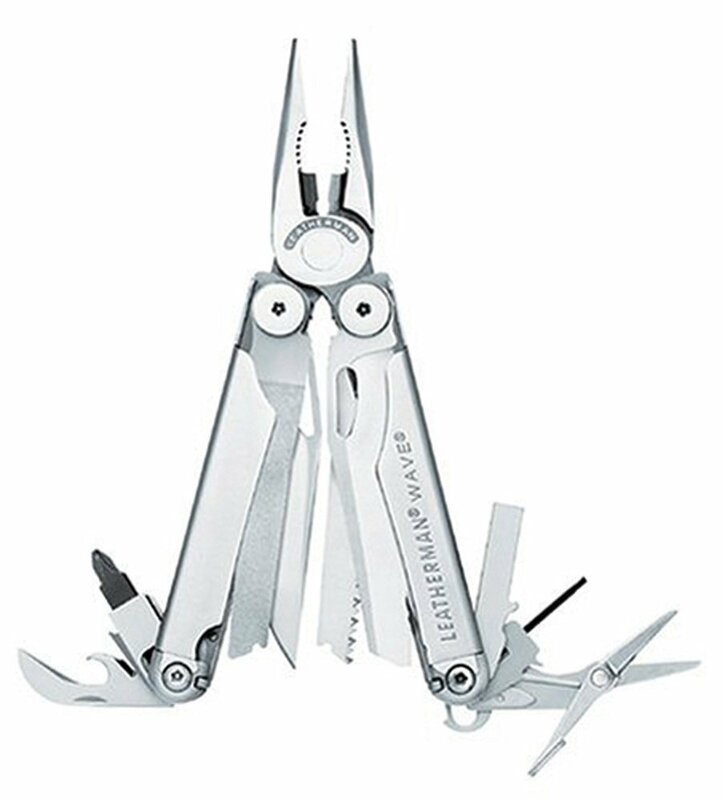 I admit I tend to be partial to Gerber multi-tools, but Leatherman was the original, and this model is one of their most outstanding and popular designs. This is an extremely high quality multi tool that will perform under pressure. You need to be wearing one of these on your belt as part of your EDC. This is one of the most popular and rugged ammo cans on the market. Outside dimensions: 8.75″ (L) x 15.5″ (W) x 9″ (H) Inside dimensions: 7.5″ (L) x 13″ (W) x 7.25″ (H). O-Ring seal; Ideal container for geocaching. Designed for stacking. Rugged polypropylene plastic. Durable and moisture resistant; Made in USA. Paracord has literally hundreds of uses for the prepper, and is one of the most popular survival items on the market. You need lots of this! There you have it. 10 of the most popular survival items on the market. Do you need any of them? Only you can decide. If you likes this article and found it useful, please click the “Vote for Me” icon at the right of the page. Round my neck lives a extraordinary multitool the like of which is not often found. It’s an old style mil fold flat can opener. A simple thing which allows me to (surprisingly enough) open bottles and cans, gut animals, cut rope and cloth, sharpen sticks, undo screws, acts as a water drop magnifier, a trigger for snares, a hook to lift latches, a magnet by design, and a striker for flint. Yes! The Mighty P-38. It is interesting that you mention it, as I am posting an article on it today! Good list,I prefer the Leatherman OHT over the others though. There are so many really good multi tools out there, we have a lot of good choices. Oh yeah,there’s a lot of good multitools,along with many that are junk. The reason I use the OHT is because it can be used with just one hand-which is a huge plus in case you are injured and only have the use of one hand/arm. It’s a bit heavy if you are worried about weight,no serious backpacker would ever carry it. You can find it on sale for 15 bucks or so. I’ve been using the Kobalt brand multitool for years with next to no problems. I bent the plier trying to get a rusted lag bolt out of an old phone pole that the gate to my friends property where we fish,camp and shoot at was hung on-I did get the lag bolt out-took the bent plier multitool back to Lowes-and they replaced it at no cost to me. The lifetime guarantee is one of the reasons I like the Kobalt multitool,the others are the quality,the fact that all the tools work as the are supposed to-and it has tools I actually use day to day. It comes with a folding lock blade knife,and a belt sheath that both are carried in.